Timers, Scrum, Points, Spent & Estimate, Burn-downs, track time in lists, hashtags, export, due dates, reports and charts by card counts, spent vs. estimate, list, board, user, team, labels, history and much more! Online and offline. For Chrome, Power-up, web-app or mobile. Editor's pick at the Chrome store! Chinese 中文, French, Russian, Dutch and Danish! Make unlimited reports, burndowns & charts of your boards, lists and cards with filters, groups and pivots, even offline. 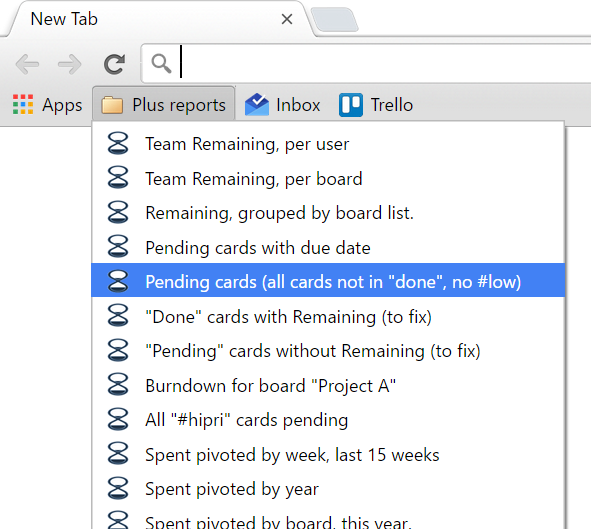 Use the Chrome Plus menu to quickly search and open any card or board. Plan and track with metrics. Make charts and reports on card counts, Points, Spent, Estimate and Remaining. Assign estimates to specific users per card. View estimate changes, spent and progress. Make end-date projections. 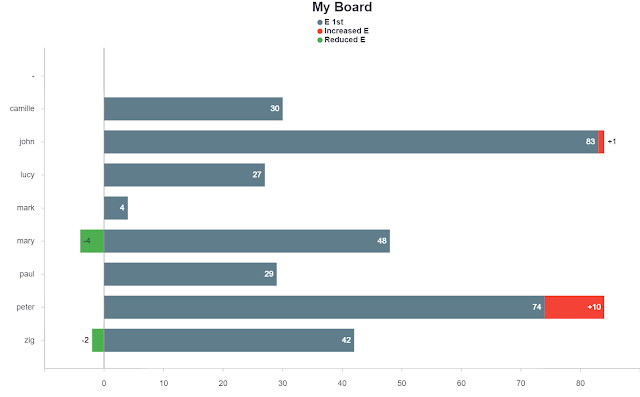 Track and visualize spent and estimates at any level: by user, card, board, label, list, team, hashtags, week, month and much more using flexible charts and reports. 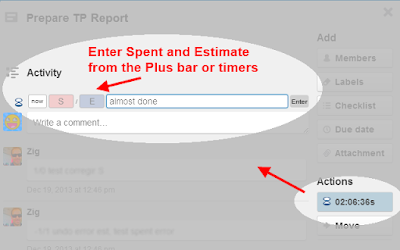 ★ Read a typical case for using Plus for more detail on spent and estimate usage. Plus is trusted by thousands of teams in over 200 countries, has always been super-fast and bug-free with new features every couple weeks since 2013. Not all teams members need the Chrome extension. Those that don't use Chrome can use our Trello power-up, web or mobile app to view and enter Spent/Points/Estimates while managers use the full power of the Chrome extension. 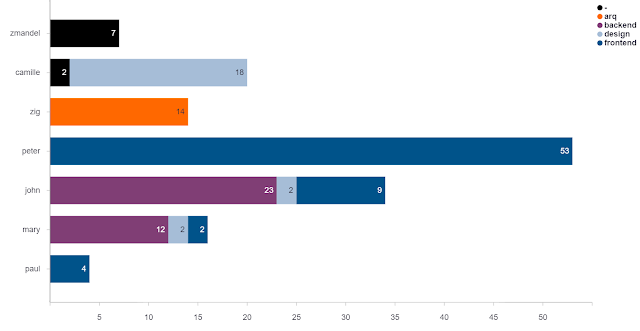 Plus can do these and many more charts grouped, stacked and filtered by multiple options! Bookmark, download or view with one click from Chrome, even when offline. 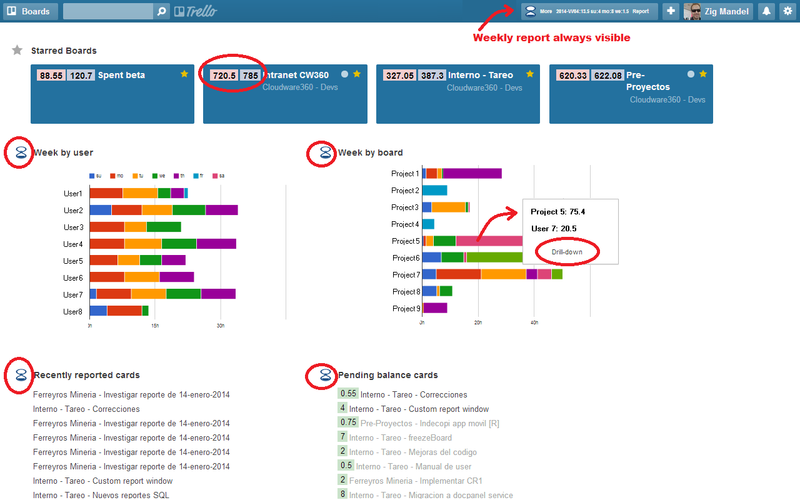 ★ Powerful reports and charts for cards, counts, Points, Spent, Estimates & Remaining work. ★ Filters, group, pivot, stack, bookmark reports, charts and burn-downs, even when offline. ★ Assign card estimates per user or globally. Transfer, spend or modify estimations with full traceability. ★ Card timers to enter spent time. Timers sync to your other computers and stay open even if you close Chrome. Or manually enter Spent and Estimates with or without the extension, from desktop and mobile. ★ Automated tracking of time spent in lists with the Butler integration. ★ Pin cards to your phone with the mobile app. View and enter card spent & estimate. Jump from the Trello app to the Plus app or the other way. ★ One-click access to boards, cards, reports or burn-downs with the Chrome Plus menu, even offline. 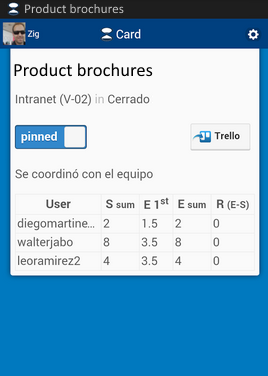 ★ Store data inside or outside Trello. When stored outside, it goes in a private Google spreadsheet to securely hide Spent & Estimates from other Trello users in the board (like your client). When stored inside, it goes in card comments. Plus for Trello is a free Chrome extension since 2013, Android since 2015 and all phones and browsers since 2017. All Trello users will find Plus useful with reports and charts about card counts, boards and dozens more Trello fields as columns or chart bars, accessible offline and with one click from the Chrome Plus menu, Chrome Bookmarks and inside Trello itself. Those tracking Spent, Estimate and Remain (S/E/R) have many more features like burn-downs to visualize patterns and predict end dates, specialized charts to detect and measure modified estimates or transfer estimates to users and globally to the card. Plus also embeds charts inside Trello to see your team day-to-day spent by users and boards. Group, order, count, stack by User, board, list, card, counts or a mix. Grouping shows an overview without drilling into detail. Pivot user and board rows by day, week, month or year, with cell drill-down. Custom colors by ranges, under or over your custom values to visualize pivots. 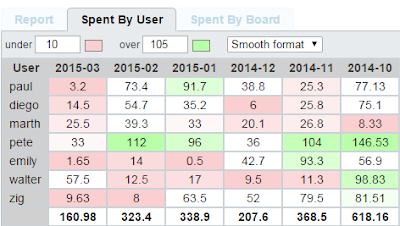 Detect users or boards under or over spending in a single view. Filter by combinations of date, user, board, list, label and card with per-field multiple OR/AND/NOT support. For example: (list contains "doing" or "to do" or "pending") and (user not contains "john" and not contains "pete") and (card is not archived), grouped by board then user, sorted by sum of spent descending, stacked by user. Offline support in the Plus menu, all reports, burn-downs and your active timers. Enter time with card timers or type the spent units directly in the embedded "card S/E bar". Board burn-down charts let you visualize your board history over time, see trends and find its projected end date as total spent approaches a stabilized estimate. Plus has five stars since 2013 at the Google Chrome Store. We have kept them as hundreds of users continue to rate and review Plus with spectacular reviews from all over the world. We take full advantage of Chrome's new and advanced features to make you more productive. Always on the top-right of Chrome for one-click access to all your boards, cards, reports, charts and burn-downs, even when offline. Search any board or card by name or notes. View any report, chart and embedded spent/remain" custom reports. Zoom an embedded report or chart into a full Chrome tab. Order, group and pivot results. Bookmark your customized reports for quick access. Export to Excel, Google spreadsheets, email or any program where you can "paste" a table. Export charts and burn-down as images with custom backgrounds. Stale cards stuck for too long in "to do"
or any report you can conceive. Viewing reports charts and burn-downs become part of your analysis and planning. Track time spent per card per user. Simply click the timer inside any card to start and click again to stop. Plus supports multiple timers running at the same time and timers synchronize instantly across all your devices. Start a timer at work and stop it later at home from another computer signed-in to Chrome with the same Google account. Start, pause or stop multiple times until you decide to enter it so board members see it. Paused timers or spent typed but not yet entered is remembered as a draft until entered. Once spent is entered Plus stores it inside Trello as a card comment (or in your private Google spreadsheet, when using the "Stealth" sync mode). Members of the board using Plus will see the spent entry inside cards, reports and charts, the mobile app and power-up. 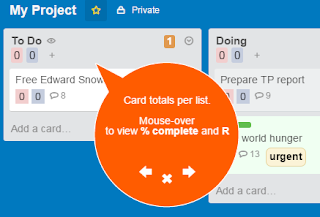 Unlike Trello labels, Plus #tag names are visible from a board without having to open the card. Timers enter Spent units for you. You can also type Spent and an optional Estimate manually using the card s/e bar and choose units in Plus preferences (minutes, hours or days). See a more detailed explanation about how Plus tracks and reports Spent and Estimate. Both spent and estimates can be entered in many ways: timers, manual s/e typed in the card s/e bar, or a card comment typed directly in a card from anywhere (Trello mobile, Firefox, Safari etc) using a very easy syntax with keywords you can customize. When entering s/e for others or when entered late Plus adds special secure notes to help detect those situations easily from reports. Keeping track of estimate changes and allowing the estimate to change is an important measure in most projects. You could just compare the original estimate with the final spent and it would give you an estimate change but that won’t give you an accurate current project estimate as the project progresses or the ability to measure those changes over time. Having an accurate project estimate at anytime allows you to better calculate end dates and view meaningful burn-down charts. This is why Plus makes the distinction between the "1st estimate" and "current estimate" per card per user and later measures those changes over time with reports and burn-downs. Plus manages changed estimates for you. Your first s/e entry per card is your "1st estimate". Keep modifying the estimate up or down as reality sinks in. Plus reports compare those "1st estimates" to the "current estimates" by showing both columns in all reports and inside each card. Some tasks are recurring and do not have a "1st estimates". Check "Recurring" inside any card so Plus knows it does not have a "first estimate" and will not affect your reports. Our Plus mobile and web app is a very lightweight version that works from any phone or browser, even offline. It has a native Android version, works well on iPhone, Firefox, Chrome and Safari. We also have a Trello power-up based on this mobile version. Access boards, lists and cards. View and enter card s/e per user or globally. Quickly open recent boards or pinned cards. Offline support for all boards, lists and cards previously viewed. Open a card in the Trello app (mobile only). Pinned cards stay on your phone notification bar displaying the card, board and time pinned even if you close the app. Access common Plus features and help anytime. Help and settings from any Trello page. Tour shows Plus step-by-step inside Trello with moving bubbles. Start the tour from trello.com, continue on any board and then on any card. Plus also shows help by hovering on most of its lists, buttons and such. 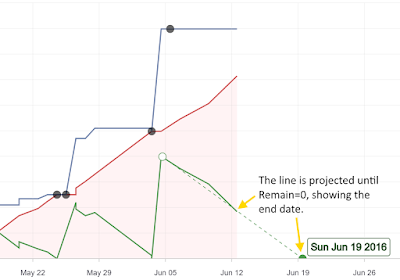 Visualize your project progress and end dates by watching estimates stabilize and spend catch up to estimates. 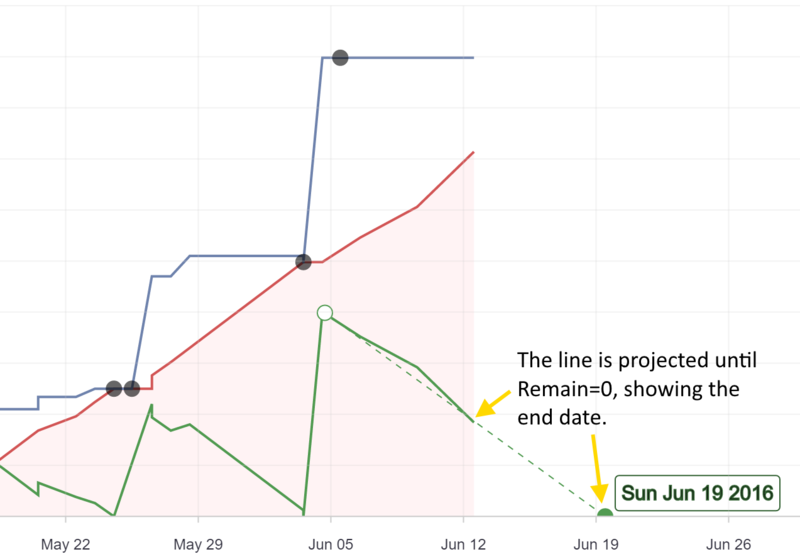 Remaining (the green line) goes to zero because Spent reached Estimates. 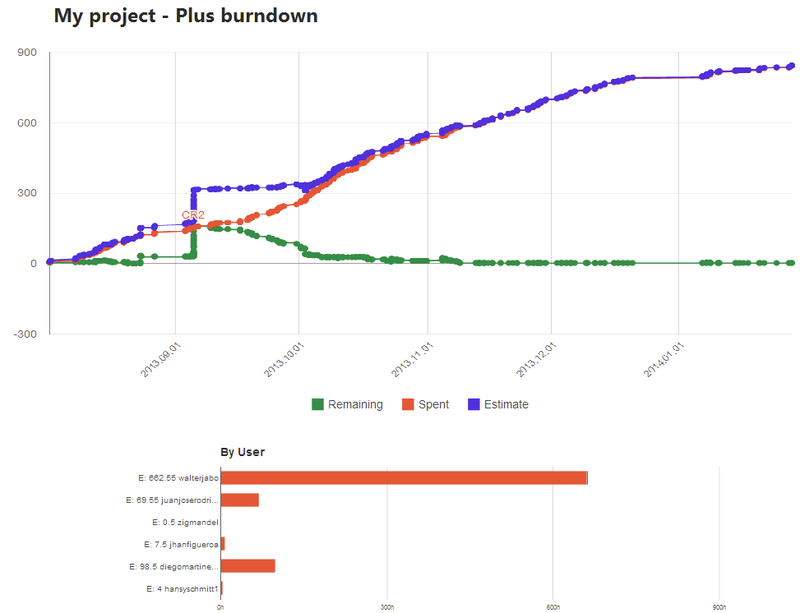 This example shows the project had three milestones (M1, M2, M3) marked with burndown annotations and card due dates, each with its own estimation as seen by the blue line (Estimate) and about constant work rate as seen by the climbing red Spent area. The green line shows Remaining work, which goes towards zero as each milestone is "done". Anyone opening this board burndown will immediately recognize these patterns without having to see any actual details about the project. Plus quickly syncs with Trello to update a small local database on each device you add Plus. The first time you use Plus it normally takes under one minute to sync. All syncs afterwards normally take under 3 seconds and happen instantly as you create, move or change cards, lists and boards. Optionally enable Plus to sync with Trello every ten minutes even if you never open a Trello page. Reports, charts, burn-downs, and the Chrome Plus menu will then be always up-to-date by just having Chrome open. Sync is super quick because it only needs to get new activity since the last sync. Boards sync in parallel to finish quickly. 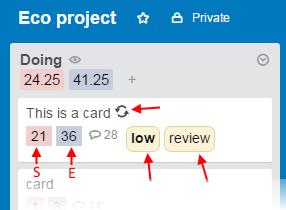 To hide your S/E from other Trello members (like a client) Plus also offers a "Stealth" sync mode where all team S/E is read and written to a Google spreadsheet. 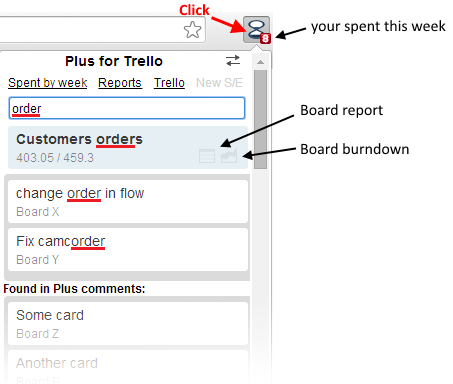 Your team will see S/E inside Trello but your client will not (even if they also use Plus) because they would also need to have access to your Google spreadsheet (as well as its URL to configure sync). Sync does not affect your Trello experience. 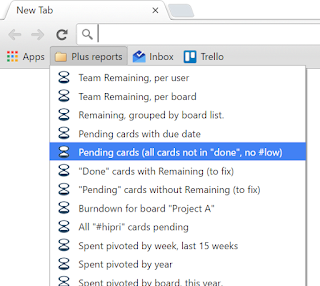 During a sync you can keep using Trello normally and close Trello tabs. Will Plus for Trello be always available? We are committed to keep improving Plus and to always keep all non "Pro" features free for all. Our "Pro" version (paid) helps us keep Plus going strong. Our lead software engineer is a Google developer Expert making great software for over thirty years. We needed something like it at work and couldn't find an existing tool that covered all our needs, so naturally we made it and shared it for free to all. It took us over two-hundred continuous, flawless updates (over one published update weekly on average!) in the last four years to get where Plus is now. More.